How much is Lizzo Worth? 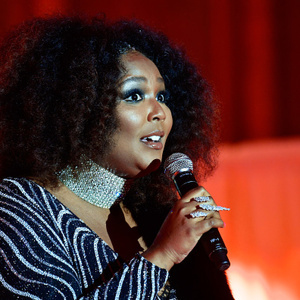 Lizzo net worth: Lizzo is an American rapper and singer who has a net worth of $3 million. Lizzo was born in Detroit, Michigan in April 1988. She was a founding of the groups The Chalice, The Clerb, Grrrl Prty, Absynthe, and Ellypseas. Lizzo released her debut studio album Lizzobangers in 2013. She has also released the albums Big Grrrl Small World in 2015 and Cuz I Love You in 2019. Her single "Juice" reached #23 on the US R&B chart and #14 in Scotland. Lizzo has appeared on episodes of the TV series Made in Chelsea: NYC, Late Show with David Letterman, The Late Show with Stephen Colbert, Party Legends, Full Frontal with Samantha Bee, Articulate with Jim Cotter, RuPaul's Drag Race, The Ellen DeGeneres Show, The Tonight Show Starring Jimmy Fallon, 2 Dope Queens, Brad Neely's Harg Nailin' Sclopio Peepio, Wonderland, and Yeti!, Yeti!. In 2019 she voiced the role of Lydia for the film UglyDolls.